Genetic characteristics of intratetrad mating, i.e., fusion of haploid products of one meiotic division, are considered. Upon intratetrad mating, the probability of homozygotization is lower than that upon self-fertilization, while heterozygosity at genes linked to the mating-type locus, which determines the possibility of cell fusion, is preserved. If the mating-type locus is linked to the centromere, the genome regions adjoining the centromeres of all chromosomes remain heterozygous. Intratetrad mating is characteristic of a number of fungi (Saccharomyces cerevisiae, Saccharomycodes ludwigii, Neurospora tetrasperma, Agaricus bisporus, Microbotryum violaceum, and others). Parthenogenetic reproduction in some insects also involves this type of fusion of nuclei. Intratetrad mating leads to the accumulation of haplolethals (i.e., lethals manifesting in haploid cells but not hindering their mating) in pericentric chromosome regions. 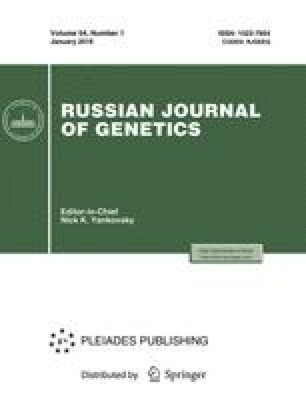 Since heterozygosity increases viability of an organism, recombination has been suppressed during evolution in fungi characterized by intratetrad mating, which ensures heterozygosity of the most part of the genome. Translated from Genetika, Vol. 41, No. 4, 2005, pp. 508–519. Original Russian Text Copyright © 2005 by Zakharov.